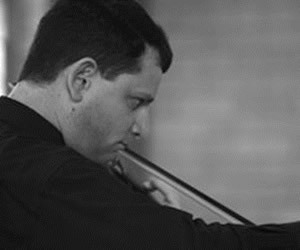 Nigel Bardsley is a graduate of the Stoliarsky School of Music Australia, where he studied with Jacob and Mark Lakirovich from 1983-1991. He continued violin studies with David Matthews and Harry Kirby at the University of Queensland. He was a participant in the Australian National Academy of Music’s Master Course Program, Youth Music Australia’s Fellowship Program with the Tasmanian Symphony Orchestra and was a member of the Australian Youth Orchestra. Since 2003 Nigel Bardsley has been Head of Strings at All Saints Anglican School on the Gold Coast, Australia. There he teaches violin and viola, directs several orchestras, coordinates a biennial Concerto Competition, the Chamber Music and Music Honours Programs, and is the Associate Musical Director. In addition, in 2015 he conducted youth string orchestras in regional cities Rockhampton, Mackay, Bundaberg, and Townsville for Queensland Conservatorium Griffith University’s State Honours Program, as well as being a faculty member of the Cremona International Music Academy. Nigel is an active orchestral and chamber musician. In 2017 he will be performing as soloist in Kurt Atterberg’s Suite for Violin, Viola and Strings, conducting a season of Vivaldi including the Gloria, the Four Seasons, and conducting the musical “Mary Poppins”.